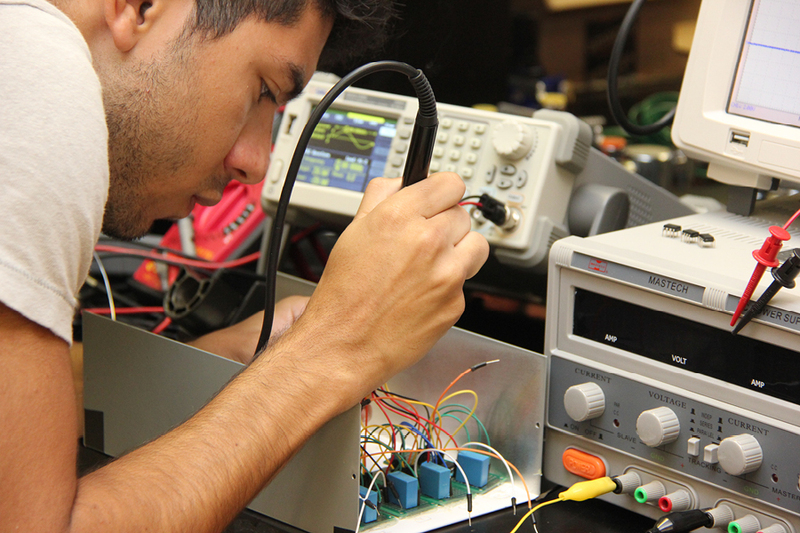 The College of Engineering offers a variety of work environments for students working on course-related projects. These spaces range from completely open-access areas to those that require intensive training for access. The areas listed below are structured to provide you the tools necessary to complete successively more complicated projects as you move through the curriculum in the College. The CD+IS in Driftmier 329 is an open-access space for all students to utilize for collaborative student projects. A variety of resources are available in the Studio including high-power workstations, two small-group meeting rooms, a large collaborative space, and a 3D printing and digitizing (2D and 3D) work area. Presentation tools include Apple TV-enabled projectors and monitors. A vast whiteboard wall is available for brainstorming, calculating, and planning. The Student Fabrication Center is a brand new work area in rooms 225 and 230 of the Driftmier Engineering Center. 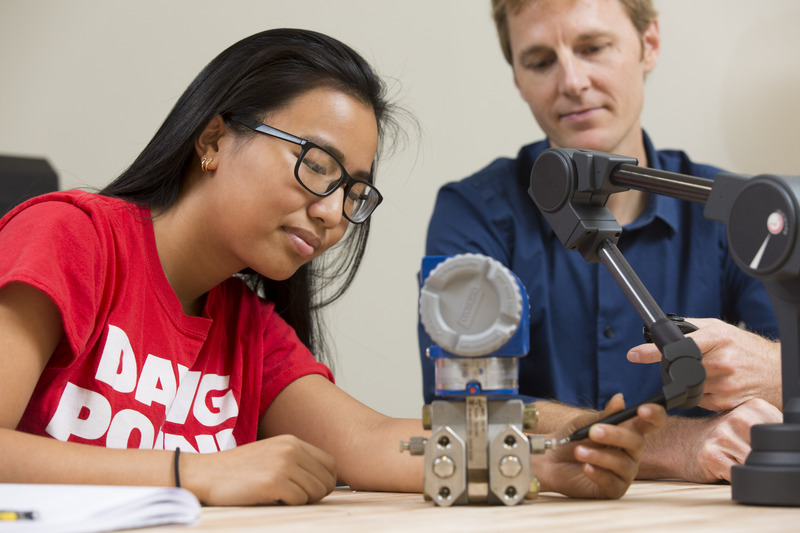 The College developed these areas for students working on a wide variety of project types – from design to prototyping, fabrication, and testing. The Fabrication Center’s areas are access-restricted. 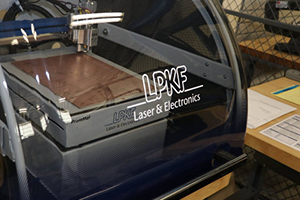 Students must take a training session to learn the basics to gain access the two main areas, the Design Workspace and the Digital Fabrication Shop. Within both spaces, sub-areas containing specialized tools and equipment require additional training for access. ► For a list of tools available, click here. The Design Workspace offers space, tools, and equipment for the initial stages of design projects. The workspace includes workbenches, storage areas, 3D printing capabilities, hand tools, power tools, electronics fabrication tools and more to support student projects. The Design Workspace is also home to the College’s Technology Lending Program, a program that offers a variety of tools for students to check-out on a limited-term basis. The Digital Fabrication Shop takes fabrication a few steps beyond was is possible in the Design Workspace. Bigger, more powerful tools and equipment are available to take designs and make them real. 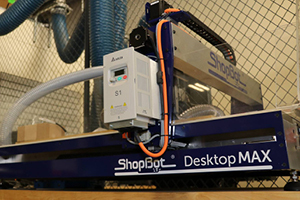 The Fabrication Shop includes number wood- and metal-working tools (saws, drill presses, welders, benders) and digital fabrication tools (laser cutter, Shopbot, PCB mill, lathe, mill). Most of these tools are in controlled-access cages for which additional training is required to gain access. In addition to these tools are all manner of hand and power tools. Storage carts and work surfaces abound. If you can dream it, you can build it here. A small, 6-workstation computer lab is planned for the Shop, as well. Welding, stainless steel, mild steel, and aluminum. We can also braze and solder a variety of materials. The College’s Design and Fabrication labs are staffed and supported by an experienced Research and Instructional Support team including Dr. Roger Hilten, Lab Director; Troy Butler, Building Support Manager; and student worker Bryce Schuebert. Our Team brings a combined 75 years of experience to support all manner of requests through a central support ticketing system at labsupport@engr.uga.edu.